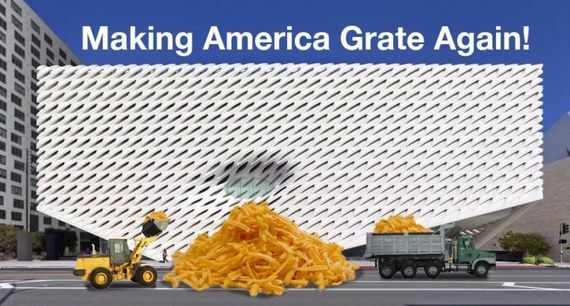 I haven't had a chance to drive into L.A. to see "The Broad" yet. Things have just been too damned busy! There are so many things to do around the house--laundry to be folded, papers to be graded, kids to be driven places--and on top of that I don't like to wait in line. In the meantime, I don't see why that should stop me from posting a review. Dozens of other art writers, critics and bloggers have been writing about the Broad since it opened last week and after having actually "seen" it, some have made prose of its alleged deficiencies. They have obviously enjoyed having the chance to apply their opinions to a freshly-minted institution. I'm honestly a bit jealous of that. Why should I miss out on an opportunity to do some clever writing and get my name out there, just because I haven't actually seen the place? I have enough innate biases and pre-formed opinions to write something that might actually come across as substantial. By looking at photos online and tossing in a few well-worn anecdotes I'm sure I can write something opinionated and even semi-informed that will earn some Facebook shares. A good slam or a clever turn of phrase always brings attention. Besides, I have also been reading the early reviews, so my expectations have already been shaped: the collection is apparently nothing special. Eric Gibson, writing in the Wall Street Journal, says that The Broad is "a safe, predictable mirror of the art-world status quo." Why spend three hours on the freeway to see "status quo" art? I appreciate both your jadedness and the heads-up Eric. But that's not all. Philip Kennicott, the Pulitzer Prize winning critic of the Washington Post, has done me the additional favor of insinuating that Eli Broad, isn't a nice man: "Ask around," Kennicott cautions, "and no one seems to like him." I wish someone had warned years ago that J. Paul Getty and Norton Simon weren't nice men and then I wouldn't have wasted all those hours in their museums. Kennicott also isn't a fan of the Broad's collection. "More than 250 works are on display," he reports, "and too many of them are the usual high-end trash." The Broad is the worst thing to happen to Los Angeles since its electric streetcar system was shut down through the evil machinations of General Motors. It is a Trojan gift-horse and a giant Bose speaker masquerading as a temple of culture. Add to that, the man who founded it was born in Canada and started his career as an accountant. Those facts alone should concern us. At the opening of The Broad, Eli Broad told the crowd: "This museum is our gift to Los Angeles and we hope you enjoy it." Let's be real: nobody is actually that generous. Plus, the Broads are known billionaires, and the art they have donated to their eponymous museums tends to be very, very expensive. Clearly, the Broad's munificence is motivated only by their need to impress, and they can't possibly actually care about art. Why? They are simply too rich, and that negates the possibility that their passions are genuine or that they truly care about the city of Los Angeles. I genuinely feel sorry for the long lines of Angelenos who waited in the blazing sun to visit the Broad on its opening day. Maybe it was the heat, but they missed the obvious faults that so many critics have cleverly pointed out. For example, artist Ralph Loynachan, who attended the opening told the LA Times: "The whole museum -- it's absolutely stupifying, it's glorious." Had Mr. Loynachan done what I did--stayed home--he could have perhaps avoided being swayed by his openness to actual experience. 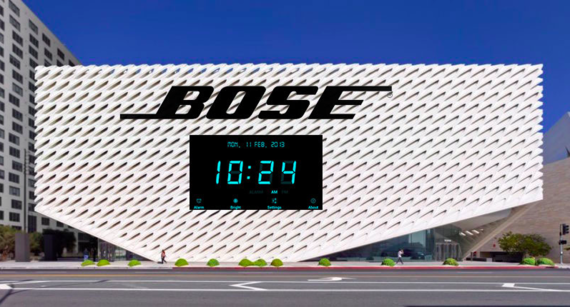 When I visit the Broad, I'm not going to make the same mistake. 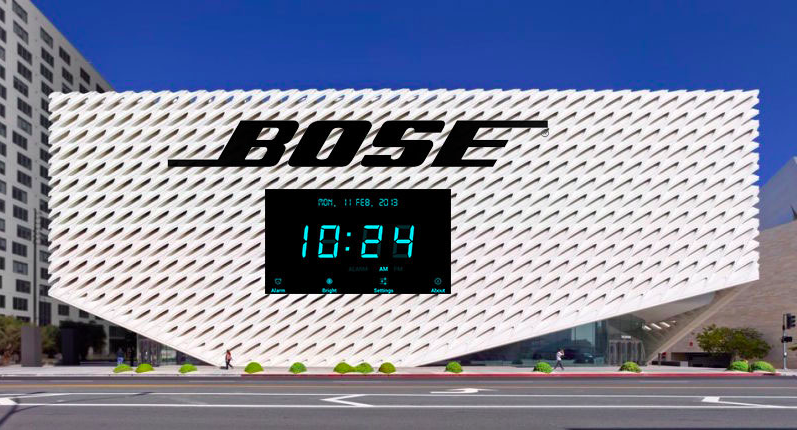 I'm going to make sure to use my personal visit to the Broad as an opportunity to show that I'm just a bit too cool for the place, a bit above the fray. To simply step back and say "This is a great thing for Los Angeles" would be just too obvious and uninformed. Even when I am actually standing there in the building, I'll be careful not to see it.